The Rev'It! Bison overshirt provides the perfect balance between protective motorcycle wear and casual off-the-bike clothing. 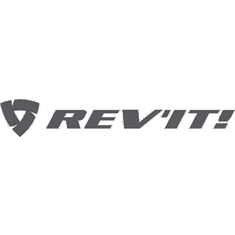 It is constructed out of a sturdy polyester canvas outer shell double layered with Revit's proprietary PWR | Shield, providing unsurpassed cut, tear and abrasion resistance. It comes equipped with the impressively slim and effective Seesmart armour in the shoulders and elbows and there's a pocket for an optional Seesoft CE-level 2 Back protector. The Hydratex membrane makes it a fully waterproof garment too, in case you get caught out in the rain. There's a strip of laminated reflective material between the shoulders, which remains almost invisible until hit by a beam of light. If that tech spec list wasn't impressive enough, the Bison overshirt looks the part too. The grey and black lumberjack look and tailored fit could fool anyone into thinking this overshirt is a mere fashion item. Sizing for the Revit Bison Overshirt as verified by the Urban Rider team.